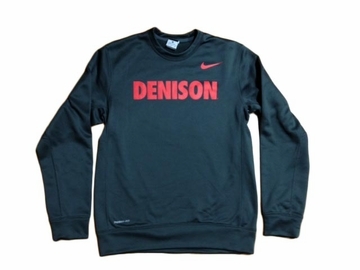 Denison Nike Therma-Fit Fleece Crew Anthracite features insulated fabric that holds in the heat and blocks the cold to help keep you warm while training outdoors. 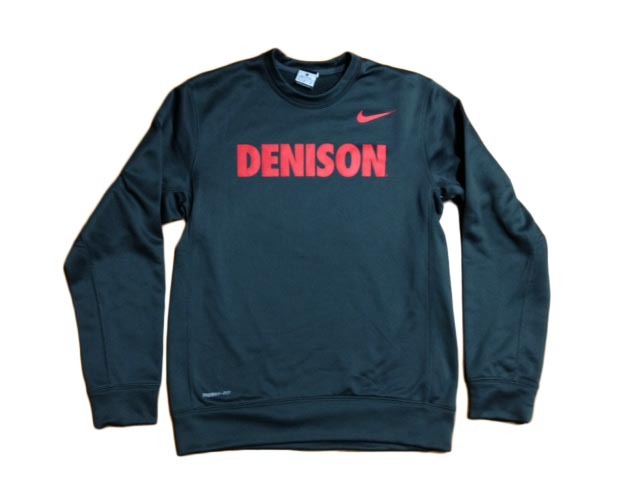 Therma-FIT fabric helps keep you warm and insulated with a brushed interior that holds in the heat and keeps cold air out.The three-panel hood provides warmth and coverage while the Dri-FIT mesh lining enhances breathability.Heavy-duty no-stitch seams to reduce irritation caused by chafing. Underarm gussets for enhanced mobility.